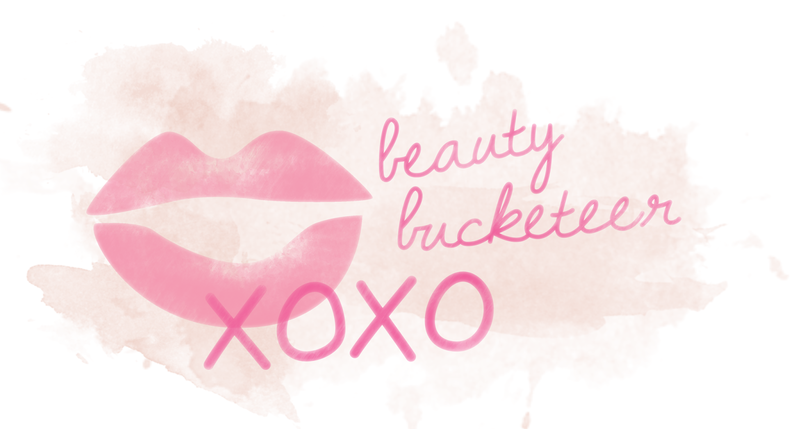 I can’t believe I’ve been away for so long and that I haven’t done a monthly favorites roundup in months! Traveling and parenting has really been exhausting (time and energy wise!) but I’m finally back! 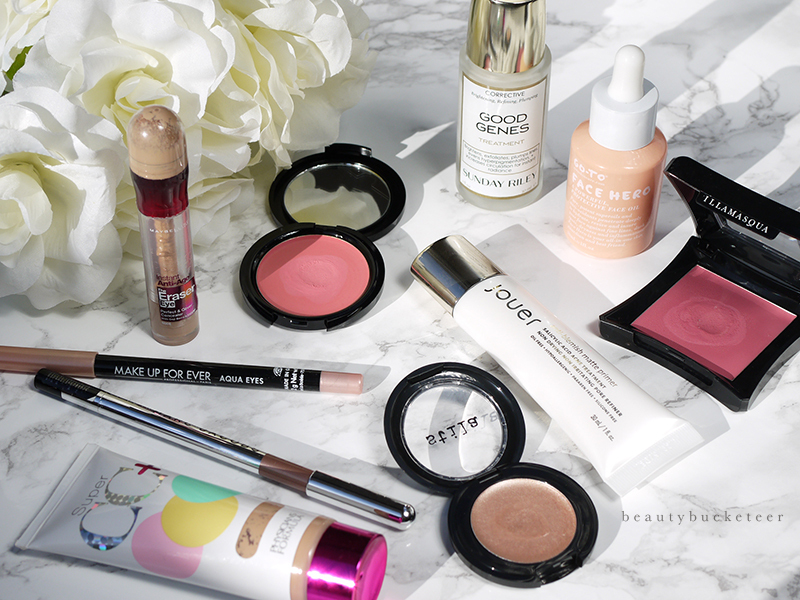 So, without further ado, let’s dive into goodies that I’ve been obsessing over this past month. 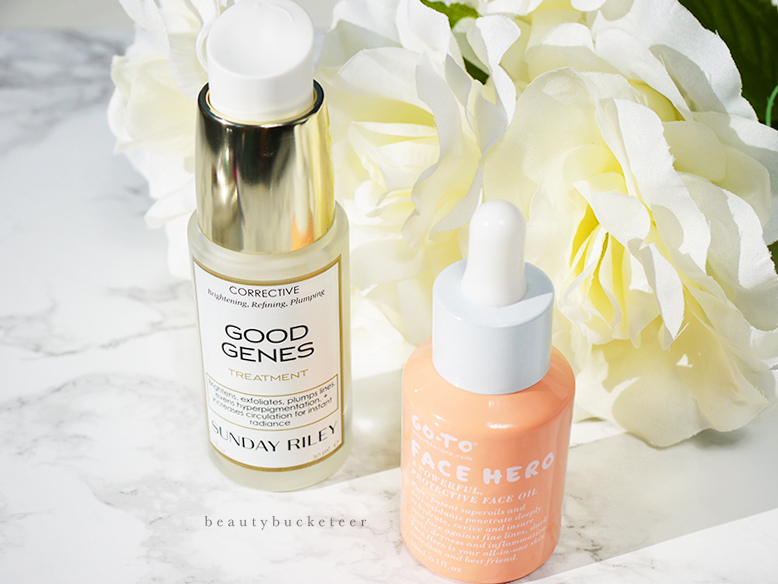 Let’s start with skincare because these two are my top favorites this month because it has truly been lifesavers. Australia, specifically the south-western parts of the country, have been plagued with the coldest winter it has ever experienced in centuries. It’s freezing here and my usually dry skin became even drier with parched and flaky areas, but these two gems have made my skin feel and look much better. Go-To Skincare Face Hero is described as an “arse-kicking blend of ten powerful oils”. The name “Face Hero” is very fitting because it literally saved my face. Before I used this, my nose’s texture was very gritty, almost like sandpaper. I had dry patches in various areas of the face, there were uneven redness around my cheek area (no it does not look like naturally beautiful, flushed cheeks), and my skin always felt so tight. Dry weather, traveling, and parenting had really taken a toll on my skin. Three days after religiously applying this oil on my face, focusing on the drier areas, day and night – they’re gone. No more patchiness, dryness, flakes and redness. I love this so much I will be dedicating a separate review on this “hero” of mine. I don’t think I could ever live without this.Sunday Riley Good Genes Treatment is also another life-changing product and will always be a part of my arsenal of skincare essentials. My main skin concerns, aside from dryness in winter, are skin congestions (congested pores) and hyperpigmentation (acne marks). After only using this for a week, tiny flesh-colored congestion bumps which used to be prevalent around the jawline and nose area have completely disappeared. After the two-week mark, acne marks and redness have considerably lightened. I have only used this (daily every night) for three weeks and my skin has never been smoother and bump-free. My skin hasn’t looked this good in years! 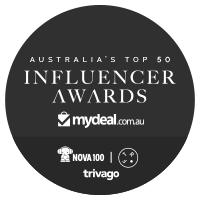 Maybelline Instant Anti-Age Concealer, as mentioned in my Top 10 Best Drugstore Products post, is my favorite drugstore concealer. Since my skin has been blemish free I haven’t been wearing much foundation, so I’ve just been using concealer to conceal my dark circles and hyperpigmentation. This is so easy to apply and blend, and its texture is also much more hydrating than the NARS Radiant Creamy Concealer and Cle de Peau concealer (my other top favorite concealers), which made my skin feel so much more comfortable during this weather. Physicians Formula Super CC+ Cream has been the only foundation I’ve been using over the past two weeks ever since I ran out of my all-time favorite tinted moisturizer, the Laura Mercier Oil Free Tinted Moisturizer, my go-to base during winter and drier months. 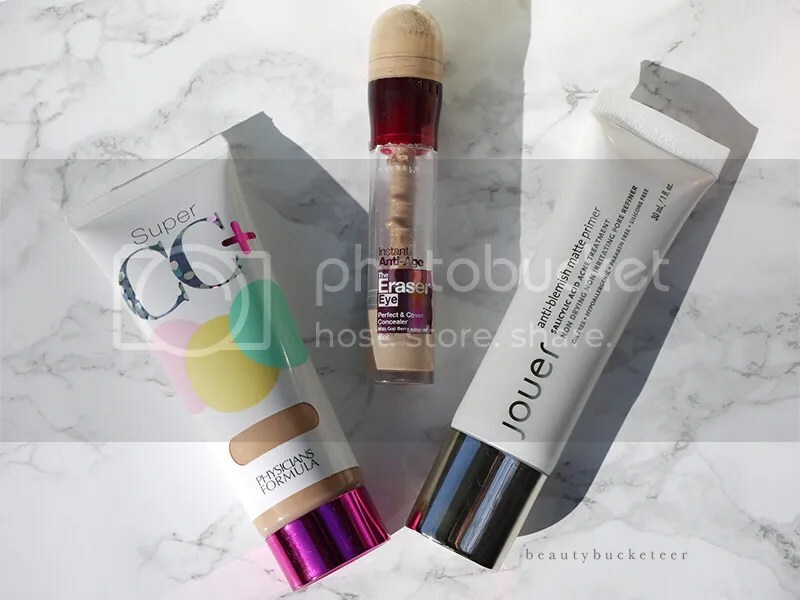 I didn’t want to repurchase it yet because I still had a bunch of open foundations, so I rummaged through my stash and out of all of my open foundations, this was the most hydrating and dry-skin friendly one I came across. It feels so soft on the skin, doesn’t accentuate dryness and the color-match is just amazing – not too yellow/golden, not too pink. Mine is in the shade Light/Medium. Although it does not have a full coverage, it still managed to even out my skin tone really well. It’s so creamy but is very blendable. Overall a very nice base and hydrating enough during winter, and I’ve also tried this during warmer months and it doesn’t feel thick or look cakey at all. Since it’s winter, I’ve been loving cream products because powder can sometimes accentuate dry flakes. Plus, cream blend into the skin better. 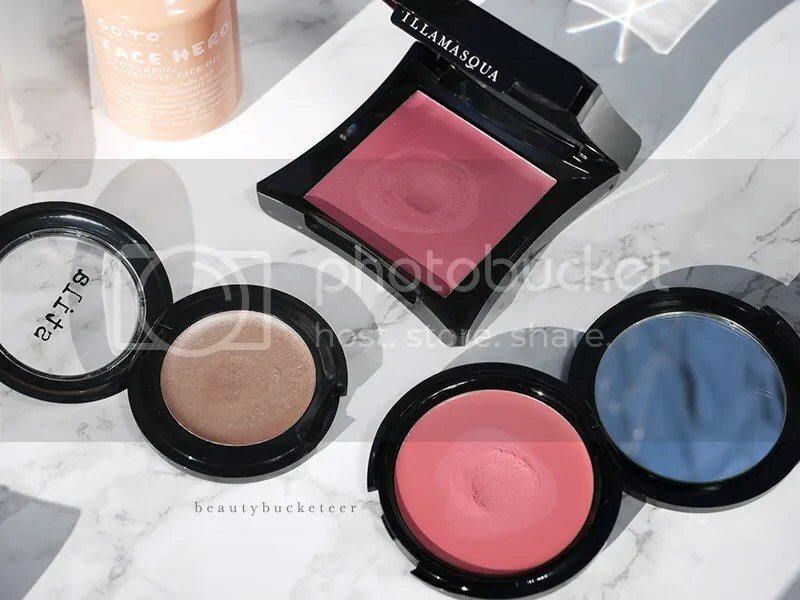 Cheek products I’ve been loving are, from left to right, the Stila Kitten Convertible Color in Kitten, Illamasqua Velvet Blusher in Peaked, and Make Up For Ever HD Second Skin Cream Blush in 330.
and Illamasqua Velvet Blusher in Peaked. 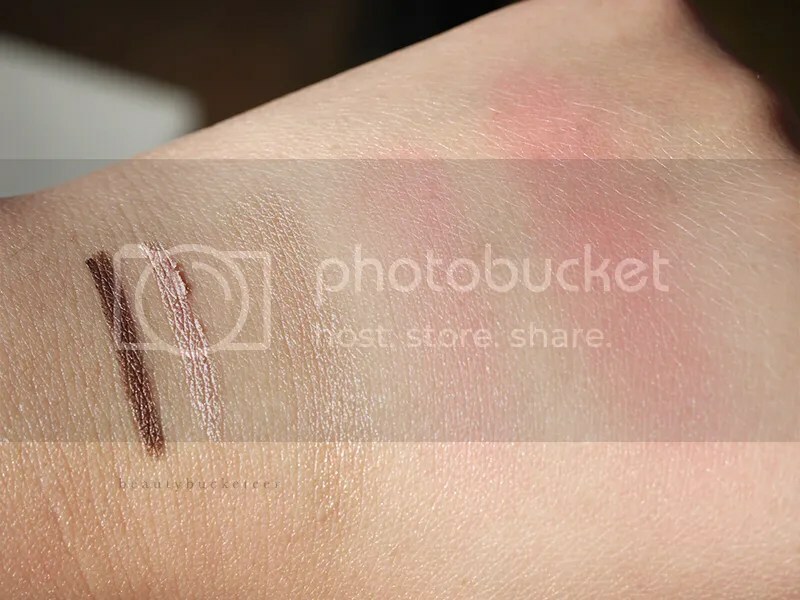 The Stila “Kitten” is a very popular shade across their products – eyeshadows, pigments, lip color, and even blush/highlight, and it is popular for a reason. It’s just so damn gorgeous! It’s a warm-toned champagne highlight color with micro shimmers, and this cream highlight makes the skin glow so beautifully. So ethereal. I love using this in my inner corners, high points of my cheeks and nose bridge. The swatch doesn’t really do it justice though, when worn on the face and blended better it looks so much smoother and glowy. As for blushes, I am obsessed with these two. The Illamasqua Velvet Blusher in Peaked is much more pigmented and an itty-bitty tiny bit goes a looong way, whereas the Make Up For Ever HD Second Skin Cream Blush in 330 is slightly sheerer, but very buildable. On the pan, the Illamasqua cream feels very dense and solid, it’s almost impossible to create a dent, so picking up the product can be a bit tricky at first. It certainly does not feel too “creamy”. Ever touched a block of butter that’s been in the fridge or freezer for too long? That’s what it feels like, but once you swirl your warm fingers on it, it slightly melts and application is a breeze. I usually just dab the product on my skin with my fingers. The Make Up For Ever on the other hand is very creamy and buttery, much easier to pick up from the pan. I prefer blending this with a stippling brush though, because too much dabbing will actually sheer out the cream even more, you’ll end up with almost nothing. So I use my fingers to apply the cream on the cheeks, then blend it out with a brush. I love using the Real Techniques Stippling Brush for this. 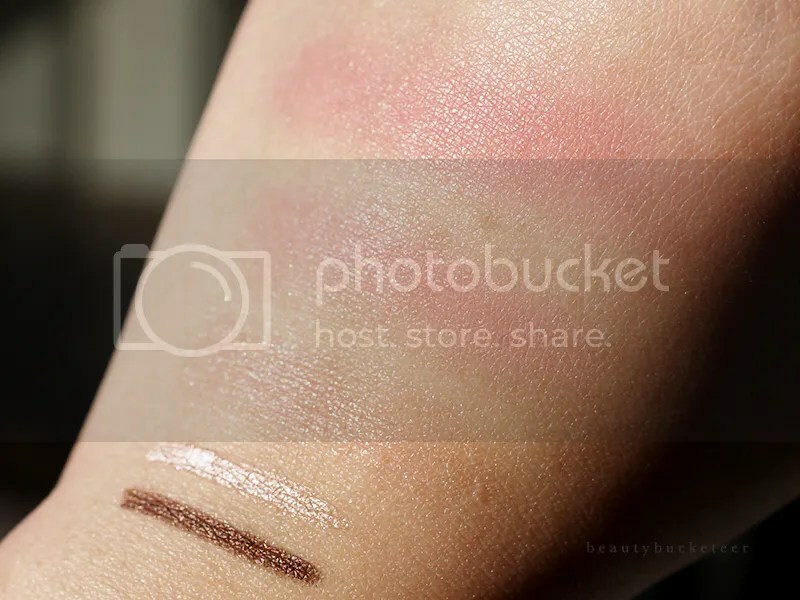 In terms of color, the Illamasqua looks very mauvey/plummy and intimidating on the pan, but when blended on the skin, it becomes a very gorgeous medium reddish pink. Love this for a night out or glam look. The Make Up For Ever is a neutral-toned pink and is perfect for a natural flush/pinched-cheeks sort of look. 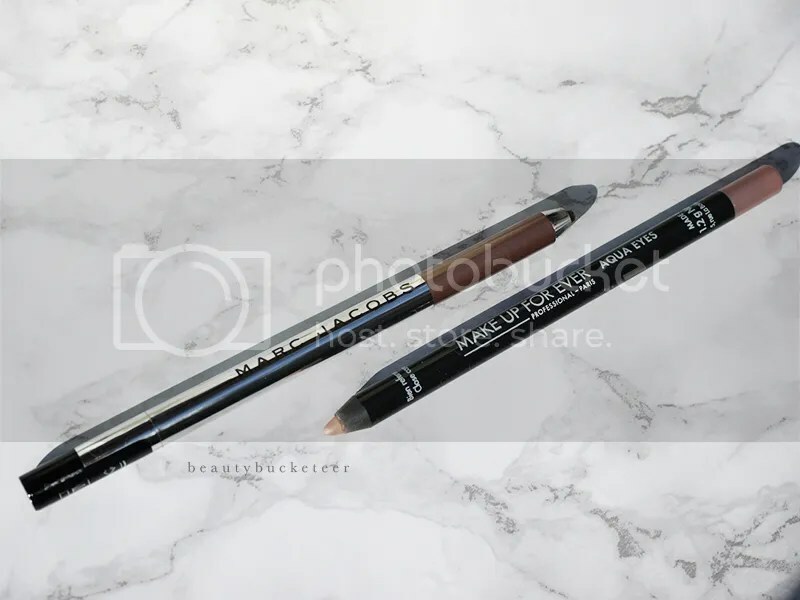 Lastly, these are my two eyeliner obsessions at the moment. The Marc Jacobs Highliner eyeliners are the only liners that would last on my lower lash line and won’t create a film over my lenses. Contact lens wearers would know how annoying it is when eyeliners, specifically pencil ones, create a blurry film over your lenses. Being blind all day isn’t fun, so I have been staying away from lining my waterline until I found this gem. 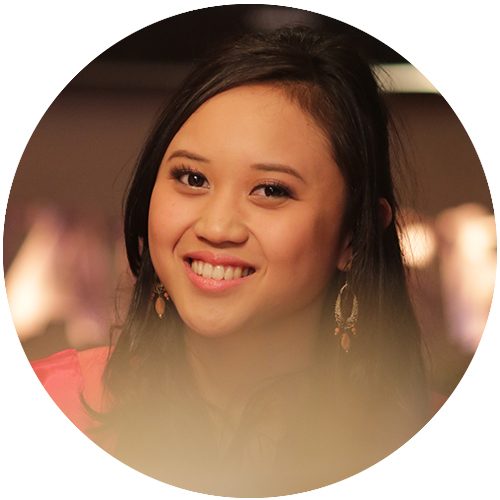 I love highlighting my inner corners and inner lower lashline, but powder eyeshadow don’t last that long in the tear-duct area, especially because I’m a contact lens wearer and I often use eye drops throughout the day. So this Make Up For Ever Aqua Eyes Eyeliner Pencil in 23L has been so amazing at keeping my eyes highlighted! The shade is an ever-so-slightly-pinkish champagne and blends wonderfully. It doesn’t tug on the skin too. Amazing. So I hope you guys had an amazing July! I envy those of you on the other side of the world who are enjoying Summer warmth and sunshine. I will be posting an interesting product review tomorrow, so stay tuned!